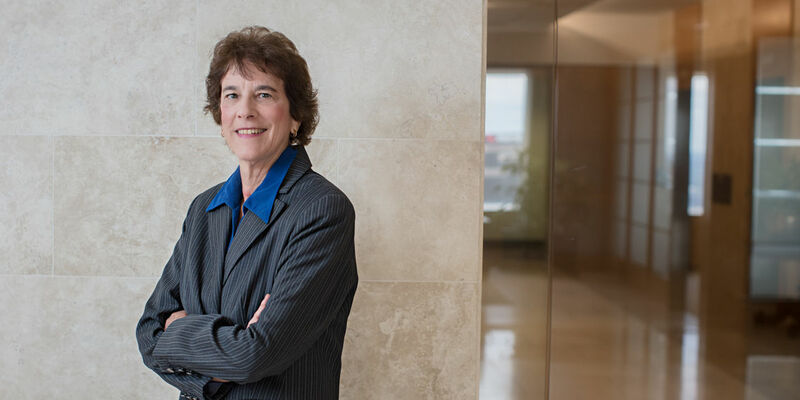 Jeannette Brian focuses on complex litigation and appellate work in diverse practice areas, including contract disputes involving commercial and nonprofit enterprises, legal malpractice defense, consumer class actions, and Title IX litigation. In all of her cases, Jeannette collaborates with a lean team of colleagues who nimbly and creatively tackle complex issues and tenaciously pursue favorable resolutions. She partners with the client to identify the client’s problems and goals and develops and implements a comprehensive case strategy, communicating with the client every step of the way. Prior to joining the firm in 2001, Jeannette practiced commercial litigation law with the Philadelphia firm of Schnader, Harrison, Segal & Lewis. Before becoming a lawyer, she worked in the publishing and public relations fields. Represented Progressive Insurance Company in a long-pending class action case in which a class of medical providers contended that Progressive must pay automobile accident personal injury claims within 30 days of receipt of completed standard claim forms or pay statutory interest on unpaid claims, even when Progressive had not yet completed its claims investigation. In 2003 the trial court accepted the plaintiffs’ position and certified the class. Jeanette and her colleague Robert Feltoon took over the case in 2009 and, in January 2014, the Pennsylvania Supreme Court reversed and decertified the class, effectively ending 12 years of litigation in Progressive’s favor. Helped resolve a series of contract disputes between our client, a large regional hospital, and the region’s largest health insurer, without the need for litigation. Achieved a series of wins for insurance company clients in a nationwide putative consumer class action lawsuit brought in New Mexico state court alleging breach of contract and failure to disclose modal premium charges. In one of the suits, Jeannette and her colleagues vigorously defended against class certification of a nationwide class, and reached an agreement with the plaintiff to narrow the nationwide putative class to a New Mexico–only class. Drafted summary judgment motions and supporting briefs on behalf of the Archdiocese of Philadelphia, seeking dismissal of two cases alleging that priests had sexually abused the plaintiffs many decades ago. The Philadelphia County Court of Common Pleas ruled in favor of the Archdiocese, dismissing both cases with prejudice as untimely under the applicable statutes of limitations. Represented a male student who was disciplined on sexual misconduct charges, and brought litigation in federal court against Brandeis University, asserting common law claims for breach of contract, negligence, defamation, intentional infliction of emotional distress, negligent infliction of emotional distress, and equitable relief. Our client voluntarily dismissed his lawsuit in a stipulated dismissal, joined by Brandeis, as he felt vindicated by the court’s 80-page decision denying Brandeis’s motion to dismiss the case. The investigation by the Department of Education’s Office for Civil Rights continues regarding his complaint against Brandeis. Conrad O’Brien attorneys were successful in obtaining a ruling in California state court ordering the University of Southern California to set aside the suspension and expulsion of our client, a male student, for alleged nonconsensual sexual activity with two female students who claimed to have been too intoxicated to give consent. On September 15, 2017, Judge Richard L. Fruin, Jr. of the California Superior Court issued a decision finding that USC failed to provide a fair hearing to our client and that the decisions to suspend and expel him were not supported by the evidence. (See Statement of Decision Granting Petition for Writ of Mandate). Judge Fruin reasoned that USC denied John his due process rights to a fair proceeding under California state law because (among other shortcomings) it did not provide him with “an adequate opportunity … to test the credibility of the material witnesses in a limited adversarial hearing before the decision is made.” (Statement of Decision at 19). Doe v. Ainsley Carry and University of Southern California, Case No. BS 161569 (Los Angeles County Superior Ct., Sept. 15, 2017 unpublished decision). Brought action against Swarthmore College on behalf of a student expelled in the wake of a disciplinary proceeding following allegations of sexual misconduct. Instituted civil litigation in federal district court, asserting claims under Title IX as well as common law claims for breach of contract, negligence, negligent infliction of emotional distress, and equitable relief. Additional information became available that both parties believed raised questions about the impartiality of the college judiciary panel that heard our client’s case. The college agreed that the new information raised sufficient questions about the fairness of the hearing to warrant vacating the panel’s finding and sanctions. Represented a law firm in Houston, Texas, and the Philadelphia law firm of WolfBlock LLP (in dissolution) in separate legal malpractice cases brought by disgruntled former clients in the U.S. District Court for the Western District of Pennsylvania and the Philadelphia Court of Common Pleas, respectively. Both cases were resolved to the clients’ complete satisfaction. Jeannette enjoys walking her dogs and tending her vegetable garden. “What Steps to Take if You’re a Title IX Respondent,” The Legal Intelligencer, March 29, 2016.